To understand the formation of the Massachusetts Neurologic Association, it is first necessary to review the organizational state of neurology in 1977. At the time, there were two national organizations: the American Neurological Association (ANA) and the American Academy of Neurology (AAN). The ANA, founded in 1875, was a small organization whose membership was composed of elected academic neurologists and a small number of outstanding neurosurgeons and neuroscientists. It spoke for neurology but not for neurologists. On the other hand, the AAN, founded in 1948, was a more dynamic organization, which had a much larger membership open to all neurologists and trainees. Although the AAN also spoke for neurology at a national level, it was more concerned with the needs of all neurologists. Initially, the focus of the AAN was on the continued education of neurologists and trainees. Over the years it became more attuned to the clinical, economic and political problems encountered by practicing neurologists particularly through the mechanism of the Committee on Practice. At the time the MNA was formed, the Committee on Practice was addressing such issues as CT scanning, the role of neurologists in neuroimaging, reimbursement, malpractice, re certification, etc. However, many of these issues were being decided by regulatory agencies and legislatures at a local level. It was recognized in the words of the late Tip O’Neill, that “all politics is local” and a national practice committee or a national legislative committee could do little to resolve these issues. On the other hand, there were only a limited number of state wide neurological organizations and many of these did not deal with the issues posed by the Practice Committee. Recognizing this weakness, the Practice Committee encouraged the development of a neurological society in each state to deal with issues that affected the practice of neurology. In 1977 Massachusetts did not have a statewide organization of neurologists. The Boston Society of Psychiatry and Neurology was primarily a Boston based organization almost as old as the American Neurological Association, whose meetings were devoted to the various clinical and basic science areas of psychiatry and neurology. Although many of the members were neurologists, the membership was also composed of psychiatrists, neurosurgeons and neuropathologists. The organization did appoint representatives to Blue Cross-Blue Shield committees, however, these representatives provided little feed back to the organization or to their fellow neurologists. There also was a section of Psychiatry and Neurology within the Massachusetts Medical Society with the chairmanship rotating between a psychiatrist and a neurologist on an annual basis. Such an arrangement failed to address many of the issues that were vital to the practice of neurology. Moreover, the practice issues of the two specialties often differed. Dr. Robert Feldman was a member of the AAN Practice Committee and essentially represented the New England region. 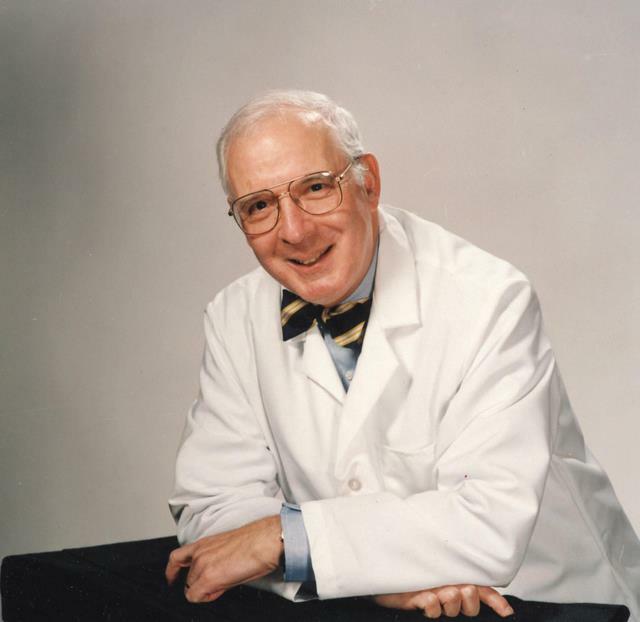 In that role, Bob Feldman convened a meeting on October 12, 1977 of various leaders of neurology within the state to discuss the formation of a Massachusetts Association of Neurology. Attendees to the meeting included the leaders of the AAN and ANA, and representatives from the four medical school and teaching hospital neurology departments. Because I had served as the president of the Boston Society of Psychiatry and Neurology during 1975 and was the representative for neurology in the leadership of the MMS Section of Psychiatry and Neurology, I was selected as the chairman of the organizing /steering committee of the proposed organization. 125 individual neurologists were then identified as practicing in Massachusetts and an invitation was sent to all of them to attend a statewide meeting on November 15 1977, at the Leonard Morse Hospital in Natick. The goal of the meeting was to discuss the formation of a state wide organization whose purpose was to “foster a sense of fellowship and to provide a forum for the exchange of ideas concerning the practice of neurology.” In response, twenty-five neurologists indicated that they would attend and 36 indicated they were interested but unable to attend. In actuality, 38 attended and voted to establish the organization. I had the honor of being nominated and elected as the first president of the MNA. Dr. Gerald Winkler was selected as the Vice President/President elect. Dr. Linda Buchwald was selected as the Corresponding Secretary and Dr. Russ Butler as the Recording Secretary. Through the efforts of Dr. Dave Dawson, the members of the Boston Society of Psychiatry and Neurology were surveyed shortly after the establishment of the MNA in January 1978 and 95% of those responding voted to transfer to MNA the function of appointing representatives to Blue Cross/Blue Shield as well as other functions related to medical organization review and practice. A committee on third party payers chaired by Dr. John Hills began work immediately and in the fall of 1978, the leaders of Blue Cross/ Blue Shield met with the general membership of the MNA. Also at MNA’s inception, a Committee on Public Relations and Legislation was established. Over the years Dr. Linda Buchwald had a major role in our legislative committees both at a state and national level. Another issue was also resolved in the fall of 1978. The members of the MNA who were also members of the Massachusetts Medical Society, (48 of the total 82 initial members,) petitioned the officers and council of the Massachusetts Medical Society for the establishment of an independent, separate section of neurology distinct from psychiatry. This was done with the approval of the Psychiatry leadership within the Medical Society and was ultimately approved without objection by the Medical Society as a whole. The MNA was thus recognized as the organization representing neurology within the state medical society. In May 1978, the initial proposed operating budget for the MNA was $900 with dues of $15 per member. Included for 5 meetings was a coffee fund of $75.00 and a donut fund of $25. The initial sign up of 82 members exceeded our projection, which was 60 members or approximately half of the practicing neurologists in the state. With 22 members about our projections, we were thus able to generate a small surplus. Over the years, we have always been able to maintain a strong fiscal position. In the early years of the organization, administrative assistance was usually provided by the president’s own office staff, with the presidential position rotating on an annual basis. In more recent years, the terms of the president and president elect were extended to two years to provide for a more stable leadership. As the organization grew, the need for an executive secretary became evident and we were able to contract with the Massachusetts Medical Society for part time staffing from their specialty society personnel. Over the years, we have been blessed with a procession of three superb executive secretaries; Nancy King, Ginny DuLong, and Colleen Hennessey. A variety of individuals have served in leadership roles some for a single term, others for more extended periods. Whatever their background, all had some involvement in the practice of neurology. With the passage of time, changes have naturally occurred. Initially a single annual meeting of the membership was to be held in May of each year. This was eventually expanded into two general meetings per year. An educational committee was organized with CME and Risk management credits provided. The creative utilization of unrestricted educational grants from the pharmaceutical industry allowed for the expansion of our educational programs at the annual meetings. The initial bylaws provided for at least quarterly meetings of the executive committee. This was soon expanded into monthly meetings as the issues facing the organization expanded. From the beginning, the organization had a close relationship with the American Academy of Neurology. The MNA functioned as the state representative of the Academy. The MNA soon came to be recognized as one of the best-organized, strongest and largest statewide societies. As such the MNA along with similar organizations in Virginia and Minnesota provided an example for other states attempting to organize a statewide organization. I succeeded Dr. Bob Feldman as the regional representative on the Practice Committee of the Academy and in the meetings of the practice committee was able to bring to national attention many of the issues that faced neurologists in this state. Many of the issues appeared to first surface here in Massachusetts and then resurface several years later in other parts of the country. Dr. Linda Buchwald served for many years as the chairman of the legislative committee of the Academy. In the mid 1980’s, the MNA under a grant from the Academy, sponsored a study led by Drs. Allan Ropper and Art Safran of malpractice cases in Massachusetts supposedly involving neurologists. The study provided information that allowed a more realistic setting of malpractice premiums for neurologists. The study also monitored the quality of testimony provided by plaintiffs “ expert witnesses”. Dr Steve Parker was not only our long time representative on the inter specialty committee of the Massachusetts medical Society but also served as the chairman of that committee. The MNA was very involved in the attempts of the Academy to organize a Congress of state neurological organizations. As the MNA continues to provide leadership and representation for the neurologists of this state, there is a continued need for the younger neurologists whatever their practice setting to become more closely involved in the affairs of the society.